The chk file extension is mainly associated with ScanDisk utility used to check errors in file system or physical errors on hard drive. It is available in MS-DOS as well as in Windows. The .chk file contain fragments cleaned from the disk. When Microsoft Windows disk checking programs find errors on your hard disk they usually save the "lost" data fragments to chk files. ScanDisk or CHKDSK are parts of Microsoft Windows and MS-DOS operating systems used to check and repair errors in file system as well as repair physical errors on hard drive. These files can generally not be opened, but could habe been recovered with a special software. It is unlikely that you can convert *.chk files to anything else. Click on the tab below to simply browse between the application actions, to quickly get a list of recommended software, which is able to perform the specified software action, such as opening, editing or converting chk files. Programs supporting the exension chk on the main platforms Windows, Mac, Linux or mobile. Click on the link to get more information about UnCHK for open chk file action. Programs supporting the exension chk on the main platforms Windows, Mac, Linux or mobile. 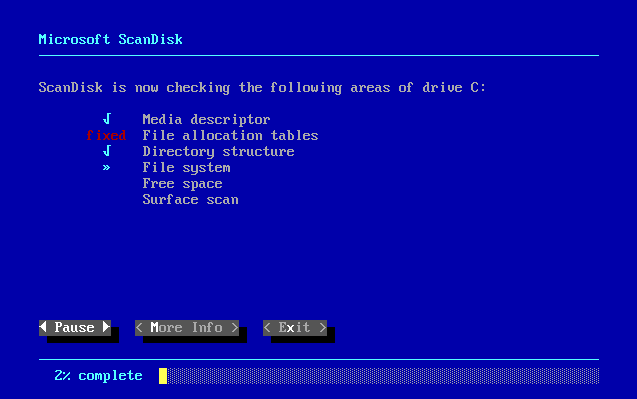 Click on the link to get more information about Microsoft ScanDisk for create chk file action. Programs supporting the exension chk on the main platforms Windows, Mac, Linux or mobile. Click on the link to get more information about FileCHK for record chk file action. Click on the software link(s) for more information. Suggested software applications use chk file type for internal purposes and/or also by different way than common edit or open chk file actions (eg. to install/execute/support an application itself, to store application or user data, configure program etc. ).